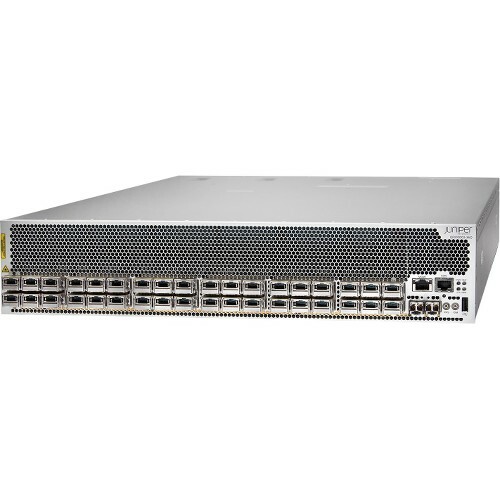 Juniper Networks® QFX10002 line of fixed configuration switches offers 72-port and 36-port 40GbE options in a 2 U form factor, with support for 10GbE and 100GbE. Both switches support quad small form-factor pluggable plus transceiver (QSFP+) and QSFP28 ports for 40GbE and 100GbE speeds, respectively. With support for 10GbE, 40GbE, and 100GbE in a single platform, the QFX10002 switches provide the foundation for today’s data center, delivering long-term investment protection for current and emerging requirements. 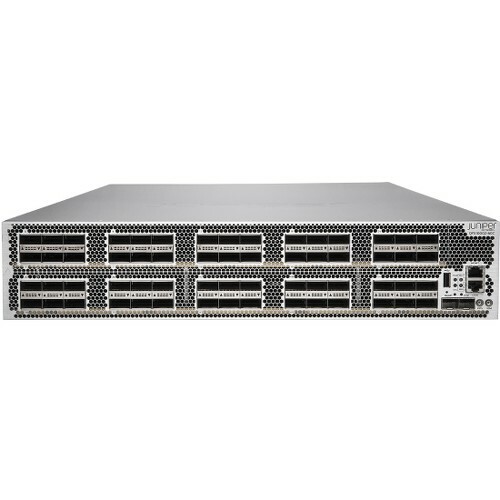 Built on custom, Juniper-designed Q5 ASICs, the high-performance, highly versatile QFX10002 switches scale from 2.88 Tbps to 5.76 Tbps of throughput. Additionally, by offering the industry’s highest 100GbE port density-up to 24 in a 2 U fixed form factor- the QFX10002 enables a simple, consolidated network design and allows customers to seamlessly evolve data center networks from existing 10GbE and 40GbE architectures to 100GbE to keep pace with evolving needs. The QFX10002 is a member of the QFX10000 line of Ethernet switches, which can be deployed in a number of different network designs and fabrics, including Layer 3 fabric and multichassis link aggregation (MC-LAG) for Layer 2 and Layer 3 networks, giving customers complete architectural flexibility. Additionally, the open architecture ensures that customers can innovate on top of Juniper Networks Junos® operating system to accelerate their pace of innovation. 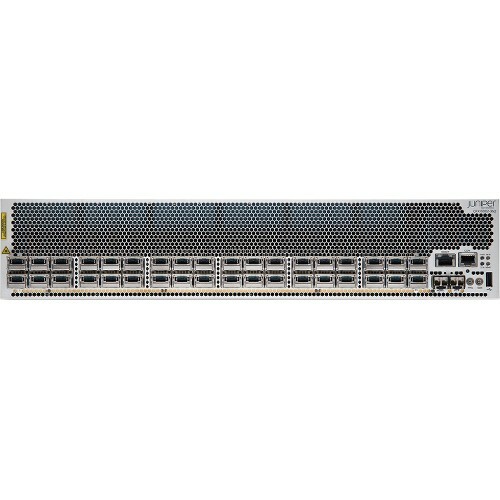 The QFX10000 switches also support Juniper Networks Junos Fusion architecture, a simple, easy-to-deploy fabric that scales to support mid-to-large data center deployments while simplifying network management and configuration. QFX10000 switches are also a key component of Juniper Networks MetaFabric™ Architecture, which provides a simple, open, and smart approach to building data center networks. 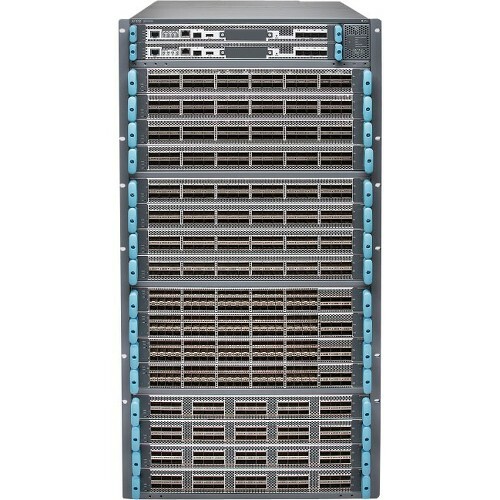 Additionally, the QFX10000 switches support Data Center Interconnect (DCI), critical to workload mobility and application availability. For networks evolving to SDN, the QFX10000 switches integrate with OpenContrail and VMware NSX SDN controllers, giving users options for SDN systems. The QFX10000 performs both Virtual Extensible LAN (VXLAN) L2 and L3 gateway functionality; the open, standards-based platform also interoperates with Open vSwitch Database (OVSDB) to support automated management and control capabilities.